Yesterday’s show was a fun one! The topics were still hard to talk about, but anything worth discussing needs a bit of effort to get through it. Again, if you have any questions or comments about anything that was covered, feel free to tweet @BoilingPointRL. If there are subjects you want to to hear discussed, or any questions you may have, send ’em on over. If you missed it, topics covered briefly were Luke Cage: superhero of the last quarter of 2016. Personally, that playlist energized me on those late study nights, and I discussed how positive of an impact his unique character has had not only on the Marvel Universe, but on popular culture as well. 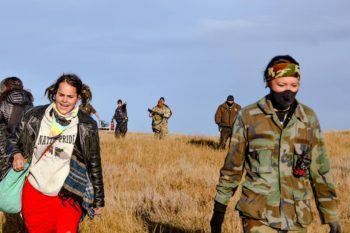 The DAPL crisis was also touched on, as Monday, December 5th is the “go” day when police will evict all protestors. Here’s a question to all listeners: how do you feel the about the fight for gender equality in its relation to the post-secondary experience? We all take the same classes, but do we experience them in the same way? Why or why not? This was also brought up briefly, and if you have anything to add, make sure to tweet them @BoilingPointRL. Thanks for tuning in: see you next time!